Lefkada has an abundant storage of underground water. This is one of the principal reasons why a major part of the island is lush with greenery. The high mountains that abound in Lefkada are the sources for many a waterfalls that cascades through the mountainous terrain and finally ending up into the sea. 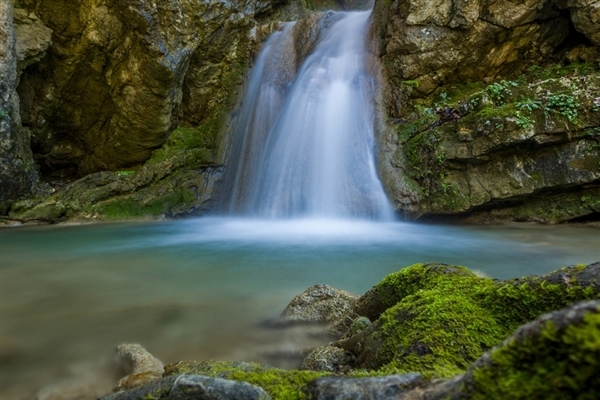 One such gorgeous cascading waterfall is the Dimossari waterfall that can be found on the outskirts of Nydri. It ends up into a gorge which is replete with white rocks. The name Dimossari has derived from the word Dimos. It used to be the ancient state where numerous watermills were found. During the summer season, when the temperature gets really hot, tourists come to the Dimosari Waterfalls to relieve themselves from the sweltering heat. Many of them can be seen swimming in the crystal clear waters of the lakes which can be found among the rocky contours. The trail on foot to the waters along the silhouette of the pine trees is splendid. Very near to the Dimossari Waterfalls is the seaside village of Nydri. Read reviews about Nydri waterfalls >here<.